I was very happy with their services, and I would use them again. They stuck to the schedule and the budget. They worked with me throughout the whole process to get me what I wanted. You get what you pay for. The price is high, but the service is extraordinary. They're organized, on time, professional, and you can trust them. They were always on time for every appointment. The design team is excellent, in terms of helping you get what you want. The contractor who is on site is very punctual and informative. His work is top-notch. Working with the design team was my favorite thing. 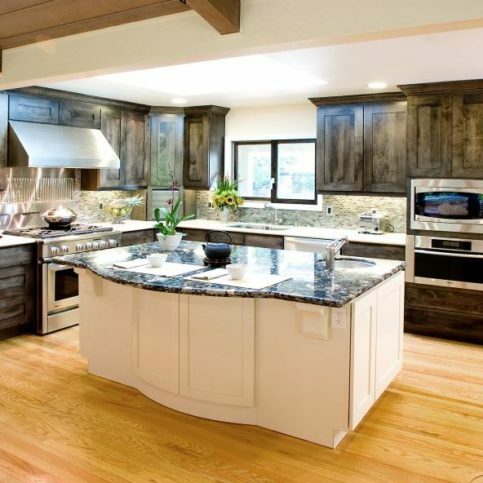 Case Design/Remodeling is a full-service residential remodeling company that serves clients in Santa Clara County. 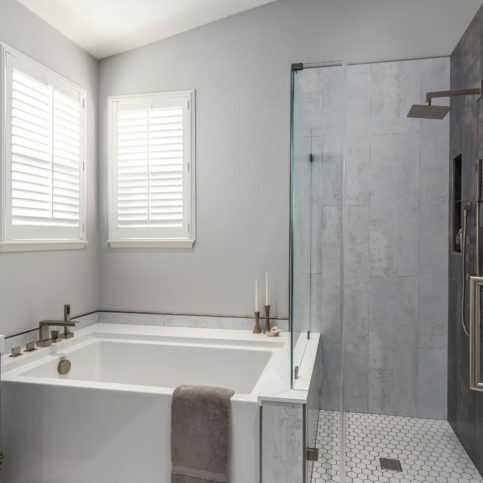 Part of a national company that was founded in 1961 and began franchising in 1997, the firm’s remodeling projects include kitchens, bathrooms, complete home remodels, additions, decks, porches and garages. It also handles trim repairs, drywall, doors and windows, and basic electrical and plumbing work. President Jim Kabel says he was inspired to start Case Design/Remodeling because of personal experiences. Frustrated with the lack of interest and capability local contractors showed him when contacted to work on his home projects, Mr. Kabel left the high-tech industry with a new goal in mind: to bring a high level of responsiveness, client care and guaranteed quality to the home improvement business. Case Design/Remodeling features in-house design capabilities, project management and lead carpenters that enable complete design, management, and construction of clients’ projects from start to finish. The company provides complimentary consultations with remodeling sales consultants, and it only hires security-cleared, experienced craftspeople. 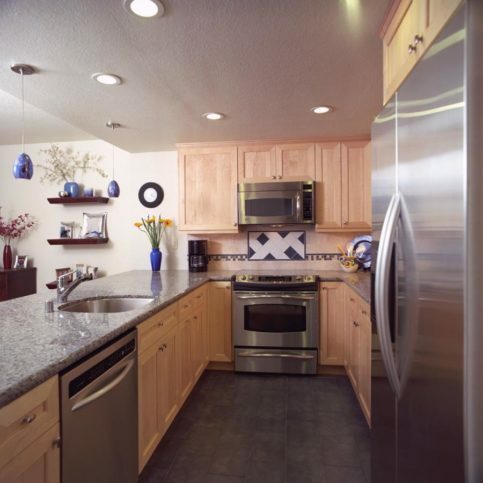 Case Design/Remodeling handled every phase of this kitchen remodeling project. 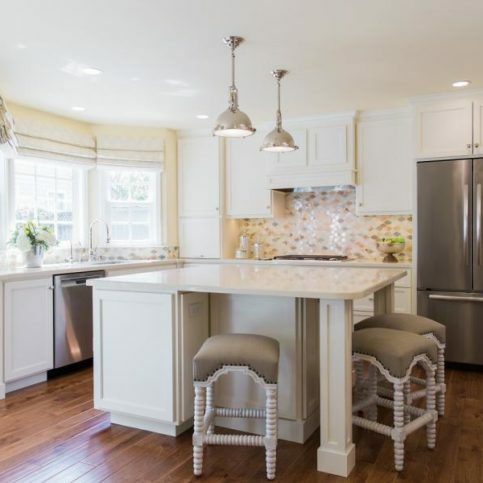 Mr. Kabel says Case Design/Remodeling takes a highly professional approach to everything it does, from the way its employees answer phones to how it schedules appointments and consultations. 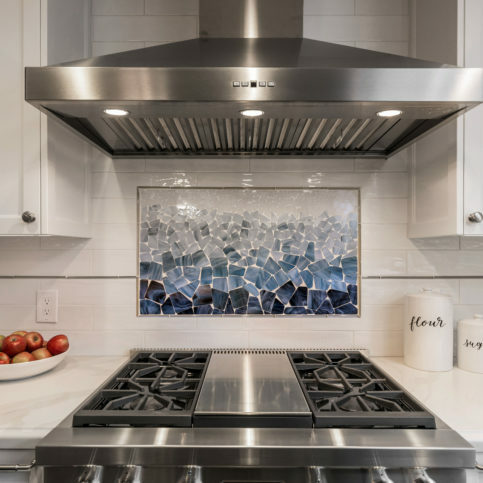 The company focuses on kitchen and bathroom remodeling, but its services extend to weather stripping, door installations and major additions. Case Design/Remodeling apply Green design whenever possible or when clients show a particular interest based on need or budget. When applicable, the company uses sustainable materials and energy-efficient lighting. 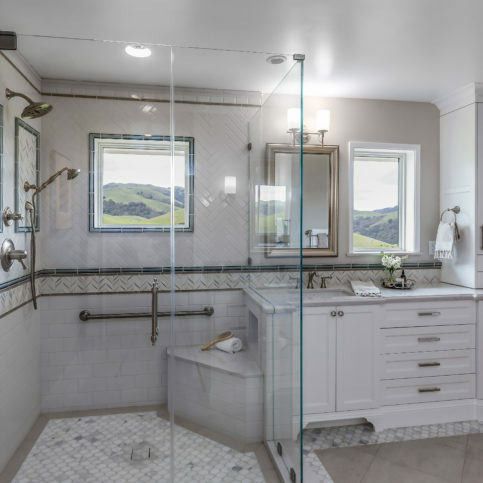 Case Design/Remodeling has an interior designer on staff who’s certified by the American Society of Interior Designers and can help clients plan and lay out space and select materials. After project designs are completed, the company creates computer-rendered drawings and ensures its construction crews build toward their specifications. 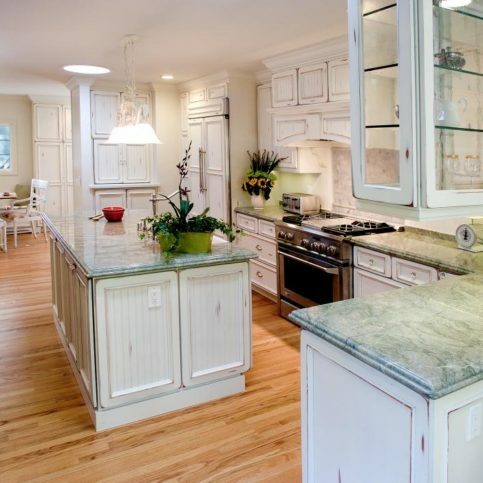 When selecting a contractor for a remodeling project, preplanning can affect your choice. 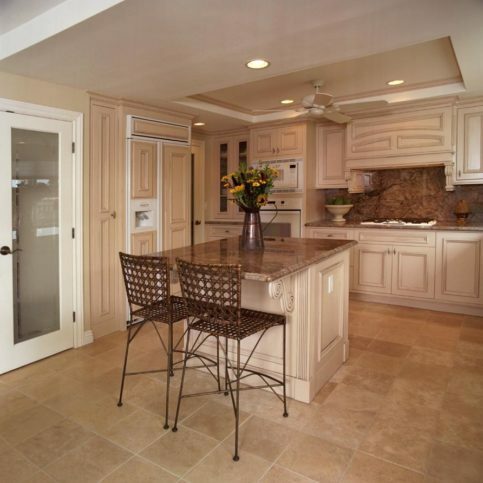 • Do you have a clear idea of the scope of your remodeling project? • Are there changes to your living situation that may be affected by the project? • How long do you expect to stay on the property? • Do they listen to your needs? • Do they have good suggestions and ideas? Do they seem proactive? • Did they show up on time for the first consultation? • Did they return your call quickly and promptly? • Do they offer a guarantee or back up their services in any way? Mr. Kabel also recommends having an expert review the exterior of your house once a year to make sure it’s sealed properly. Finding examples of rotted trim or siding, gaps in caulk or seams, holes in stucco, window gaps, and infestations of termites or other pests can be extremely important to the upkeep and value of a house. Basic maintenance can save on costly repairs in the future. 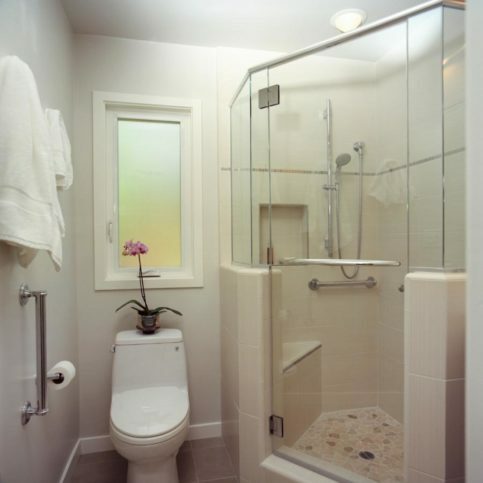 Q: How long does a typical bathroom or kitchen remodeling project take to complete? How much will it cost? Q: How do you charge for handyman work? Q: Do you carry adequate workers’ compensation and liability insurance? Q: Can you help with tax incentives for new projects? 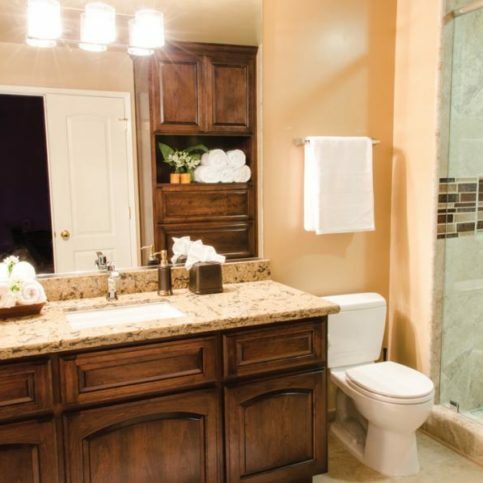 Case Design/Remodeling recently remodeled this bathroom. 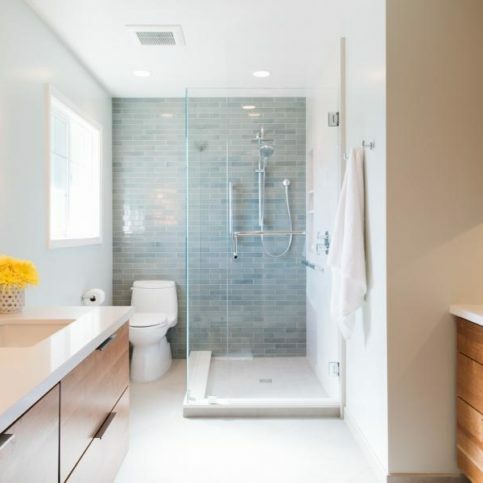 Case Design/Remodeling recently remodeled this modern master bathroom in San Jose. 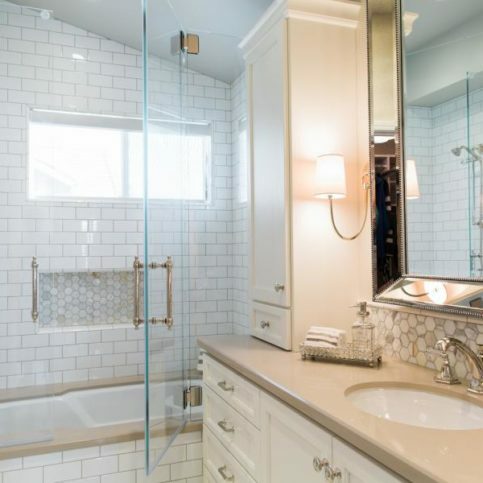 Case Design/Remodeling remodeled this traditional master bathroom in San Jose. 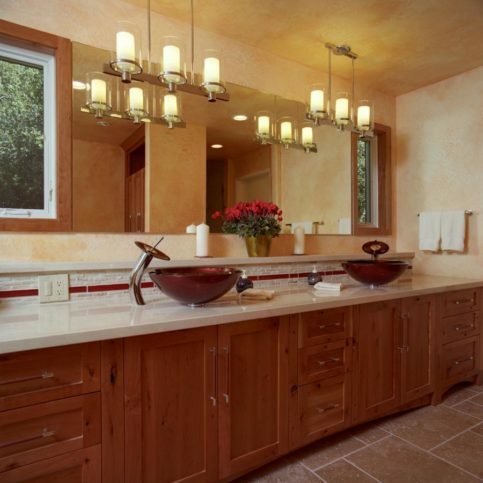 Jim Kabel is president of Case Design/Remodeling, a Diamond Certified company since 2005. He can be reached at (408) 256-1949 or by email. Outside of work, Jim enjoys partaking in the many things San Jose has to offer. “As a fan of music, movies and sports, there’s always something for me to do here,” he says. “I like going to see live music, and I’m also a San Jose Sharks season ticket holder.” In addition to local entertainment, Jim enjoys playing the keyboard and participating on his company’s softball team. Q: What’s your favorite musical group? A: Probably the past, just so I could become more educated about certain things that happened in our history. Q: Do you have a favorite local winery? A: Duckhorn Vineyards in Saint Helena. Improve organization. In many cases, a lack of space is merely a matter of poor organization. Fortunately, there are numerous products that can help you better organize your closets, kitchen, bathrooms and living areas. Another good measure is to add more lighting to these areas, as increased visibility can make seldom-used or forgotten spaces more functional and accessible. Reconfigure existing space. 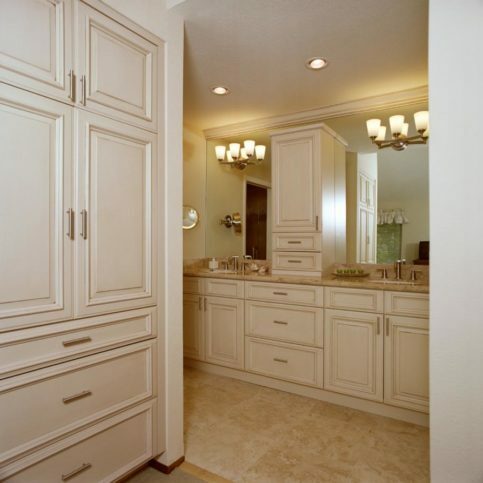 Another way to augment space in your home is to alter the existing layout of a kitchen, bathroom or bedroom. For example, if you have a large kitchen, a design/build contractor can help you reallocate the space to expand your pantry. 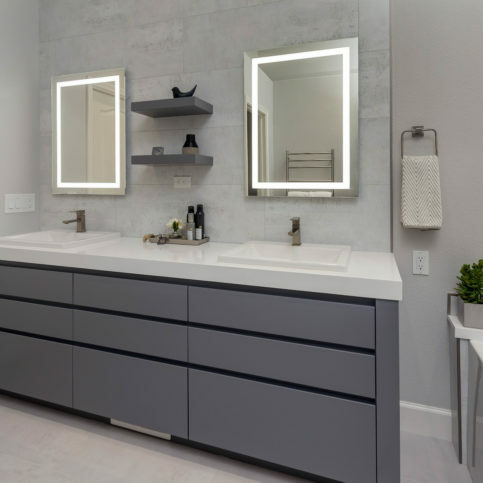 The same goes for a large bedroom, where space can be reallocated to create a walk-in closet or expand the master bathroom. Convert unused or hybrid space. Whether converting your attic or basement into a finished space or adding a dormer or bump-out to an existing room, there are several options for capturing space that wasn’t properly utilized before. Even better, converting an unused or hybrid space is typically one-third of the cost of a home addition. Add new space. The most expensive but most direct way to augment space in your home is to build an attached (or detached) addition such as a new room or garage. In addition to the substantial cost, your home addition will need to meet your city’s building requirements. However, with the help of a reliable design/build contractor, this measure can effectively provide the additional space your changing circumstances require. 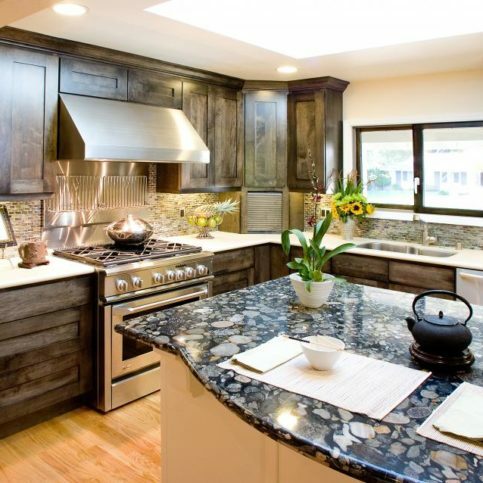 SAN JOSE — Planning a new kitchen is no easy task, especially if it’s your first major home remodeling project. 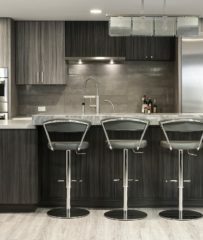 Use the following checklist to address the various aspects of your new kitchen. Appliances and plumbing: Since these are roughed in during framing, you’ll need to know early on what these items will be and where they’ll be located. Whether you use gas or electric will also factor into the planning phase. 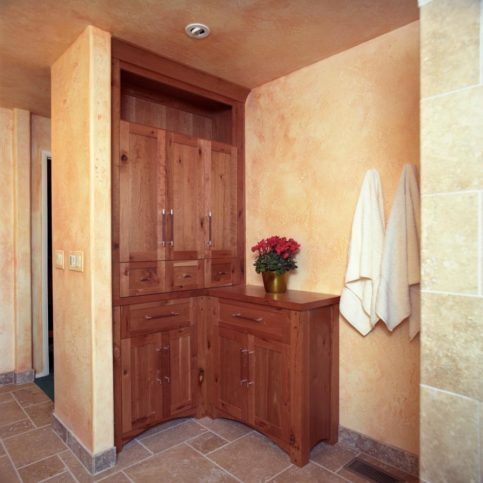 Cabinetry: This will be one of the biggest line items in your remodeling budget. 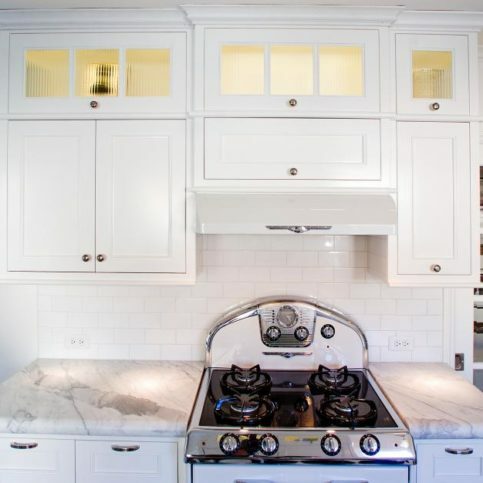 Since cabinets provide the framework for how your kitchen operates, it’s important to carefully consider the design. 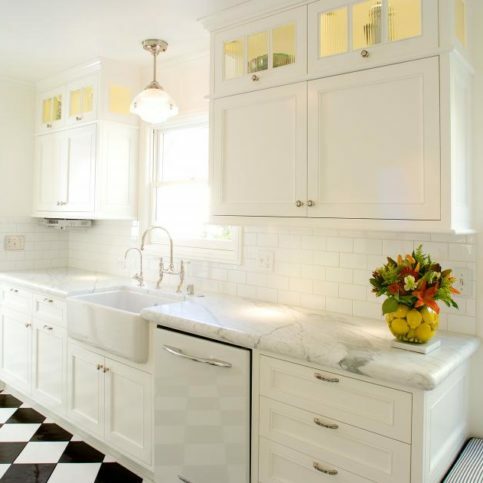 Countertops and tile: These surfaces provide another layer of color in a room. However, in addition to how they look, it’s important to consider durability and functionality when making your choice. 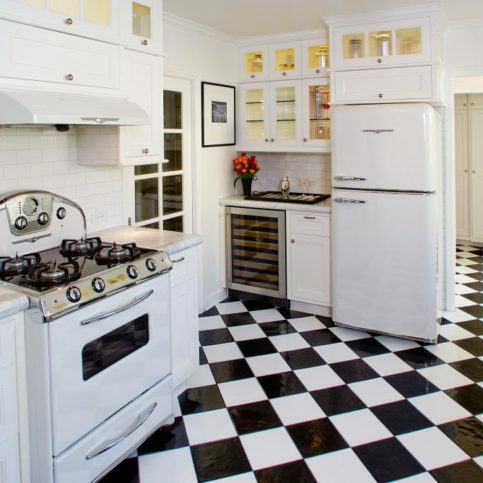 Flooring: Hardwood, tile and luxury vinyl tile are the most popular materials for kitchen flooring. 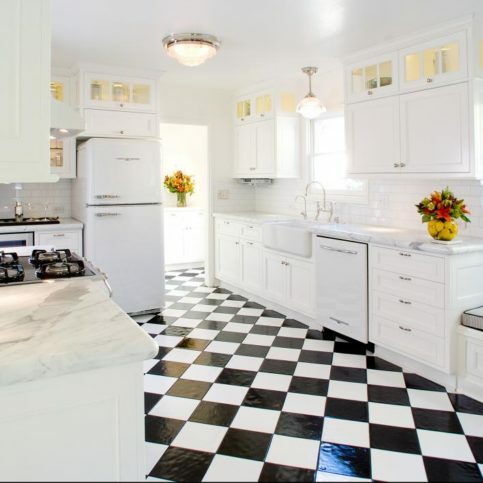 Be sure to consider the flooring transitions from the kitchen to adjacent rooms, noting any discrepancies in height. 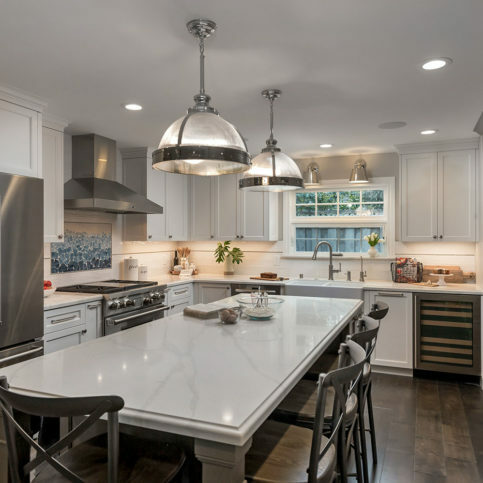 Lighting: Rather than having one big overhead light, a kitchen should have layered lighting to serve a variety of purposes. General lighting, task lighting and decorative lighting should all be in the mix. 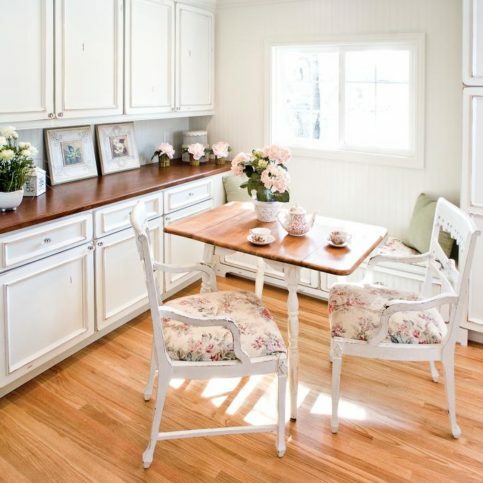 Paint: This can be one of the most difficult choices to make when designing a kitchen. 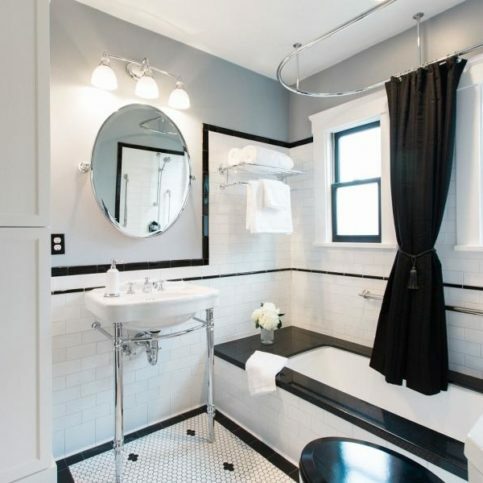 Remember to consider not only the wall paint but trim and ceiling colors and finishes as well. Cabinetry hardware: This final decorative element will put the finishing touch on your kitchen space. SAN JOSE — Host, Sarah Rutan: As life circumstances change, you may find your home is no longer large enough to accommodate your needs. Fortunately, there are a number of ways you can augment your existing space. Today we’re in San Jose with Diamond Certified Expert Contributor Jim Kabel of Case Design/Remodeling to learn more. Jim Kabel: As our lives change, quite often we find our homes no longer meet our needs. Quite often with growing families, kids moving out or back in, senior parents moving in, or just planning for our own aging in place, the way our home was designed may not have the space that we need to accommodate our lives going forward. 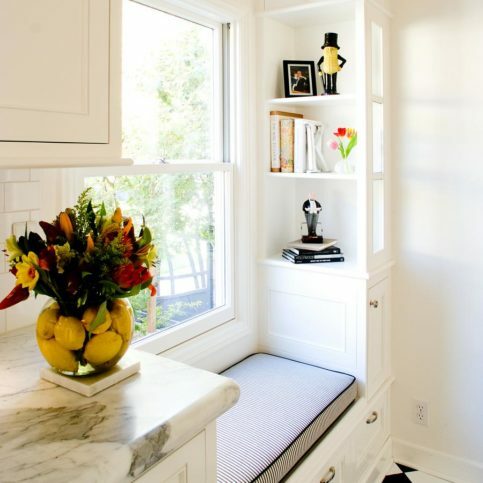 It sometimes makes more sense to find ways of creating or finding more space in your existing home. So, there are four ways to do that. One is, find ways to maximize space. This can be through better organization products that are available as aftermarket units that you can use to better organize a closet, better organize your kitchen or bathroom. Also adding lighting really makes unused spaces or darkened spaces much more accessible and much more functional. Second way is to reconfigure space. 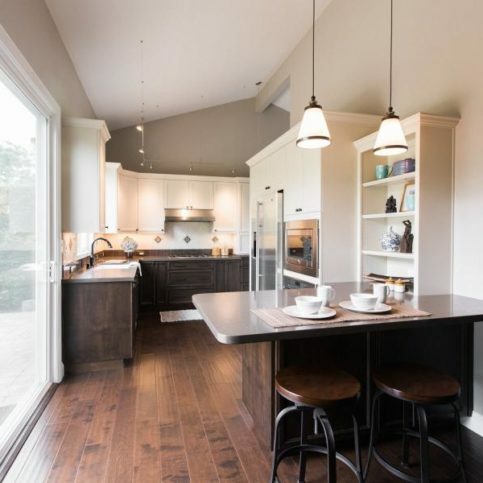 As a design-build company we’ve worked with a number of homeowners to help them reallocate space to get them that larger pantry, that larger kitchen, that walk-in closet, or bigger master bathroom, or laundry room that they’ve been looking for for a long period of time. Third way is to convert unused or hybrid space. This is space that may be partially outdoors. Could be converting an attic or a basement into finished space, could be adding a dormer or bump out – a number of different options that enable you to capture space that wasn’t properly utilized before. 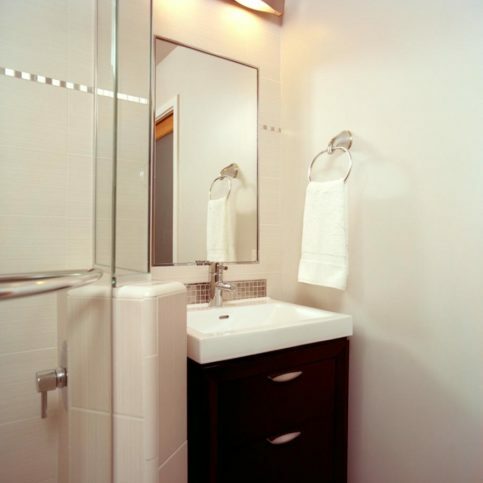 Converting unused or hybrid space can be one-third the cost of adding new space to your home. The fourth option is adding space. So, this would be adding a detached or attached addition to your home, which can be the most costly, but also provide the most flexibility if you can meet the city requirements. No matter what option you choose, a good solid design-build company can help you evaluate the pros and cons, the different costs involved, and help you make a good decision for today or tomorrow. 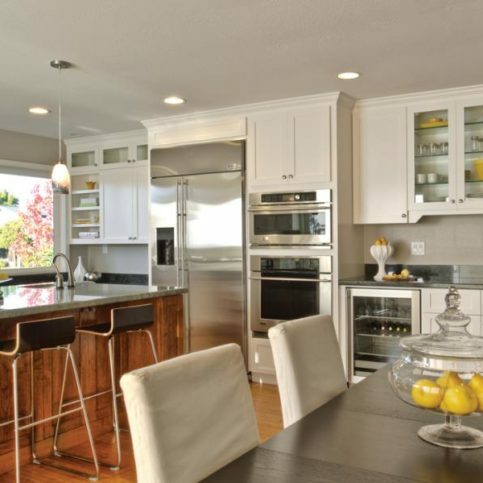 SAN JOSE — Host, Sarah Rutan: When remodeling your home, its important to plan ahead. Today, we’re in San Jose with Diamond Certified Expert Contributor Jim Kabel of Case Design/Remodeling to learn five steps to consider before beginning a project. 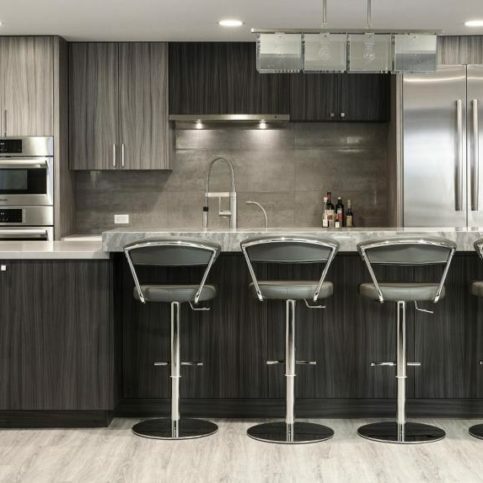 Diamond Certified Expert Contributor, Jim Kabel: When considering doing a large remodeling project or anything that’s design-intensive, here are five steps that I think are important for you to think about, or five key points, actually. Number one is get a clear definition of your scope. As you’re starting to interview potential companies that you’re going to be working with, having a clear idea of what you’re going to be doing, what’s included, what’s not included, what aspects you plan to keep, what aspects you plan to change are going to be very important to help you get a good budgetary idea of what the project’s going to cost. Number two, get a sense of what your style is. Understand the architecture of your home. Get a good sense of what types of projects are of interest to you based on websites you’ve visited, magazines you’ve looked through. You may not have to understand all the different types of styles, but if you can get a clear idea of what you like and don’t like and communicate that, that’s extremely helpful. Third, get the structural details defined as early as possible. If you plan to open up walls, move walls, bump out space, change the size of doors and windows, those are all things that can consume your budget very quickly and it’s important to nail those down up front so you can manage the rest of your budget properly. Fourth, when you actually move forward with the project, get everything documented in great detail. Make sure that there are drawings that spell out everything specifically. Make sure you have a contract that supports those drawings that spells out all the terms, all of the other nuances that are important in this project as it goes forward. And then fifth, choose the right partner. Find a company that you trust. Find somebody that you’re comfortable working with. You’re going to have this working relationship going on for an extended period of time, both before, during, and after the project and you want to hire somebody that you trust and that you feel comfortable with. Case Design/Remodeling : Average 8.9 out of 10 based on 439 unique customer surveys of customer satisfaction. Unfortunately, they do not do handyman work anymore. They were very good at turning what I said into an actual plan. If you can get them to work for you, then you should. They plan ahead and they are high quality, reliable and do what they say. They are on the expensive range but I was looking for total service and that's what they provide. They provided support throughout the entire project. I would never look for another general contractor ever again. They are really reliable, really easy to communicate with, and they always call back. They did what they said they were going to do. The guy they assigned to us was great. I think his name is Earl Paul. They are very organized. They are very complete, meaning everything is under one roof. They managed their subcontractors very well. From a timing perspective, everything rolls along well the whole time. The communications were very good, which is helpful in doing a long job and when you don't have use of your kitchen for a long period of time and you want to know what is going on. We hired them for one project and it went so well we hired them for more projects. It's been great. We have a toddler, and she's been comfortable with everybody that's worked on our projects. Easy to use, the person who came out to do the work was terrific. They are prompt and really professional. They are very good. I would use them again if I needed that type of work. We were very satisfied with the work they did. I'd say that this is a quality outfit. They are not the cheapest one out there but they deliver quality. They deliver on schedule, and I've been extremely pleased with what they've done. We liked their scheduling and their interaction with us. They are just a professionally run outfit. The payment was based on completion and hitting the milestones. They were prompt in getting the work done. They did a superb job, and we are very happy with it. They offered everything from design through project management through execution. They were very effective at solving problems. They cleaned it all up when they were done. They were on time and just did a wonderful job. We've used them for a few different things, and we've always been happy with them. They were very conscientious in their work and easy to work with. They are very professional and thoughtful. They're competent, accurate, and cordial. They did the work and left the property clean.